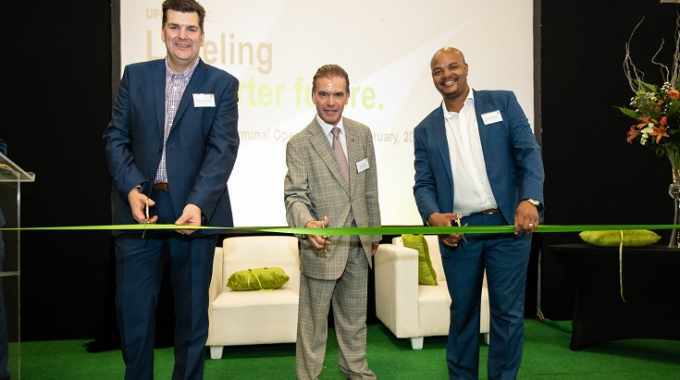 UPM Raflatac has opened a new slitting and distribution terminal in Johannesburg, South Africa. Operational since December 2018, the new Johannesburg terminal will supply innovative and sustainable paper, film and specials products to label converters in Sub-Saharan Africa. Johannesburg is the largest market area with highest growth potential in the region. Located in Germiston, the new terminal features both one- and two-meter-wide slitting capabilities. The introduction of two-meter slitting enhances UPM Raflatac's service offer range to be able to provide even more MEGA (net width) services. The new Johannesburg terminal is part of UPM Raflatac's program to improve, adjust and consolidate the company's operational and service platform in South Africa. Following the completion of the new terminal, the former Johannesburg and Durban terminal operations were relocated to the new facility, while the Durban sales office was relocated to a new address in the city. In addition to the new Johannesburg terminal and the sales office in Durban, UPM Raflatac has terminal operations in Cape Town.